The Little Panthers' League is the Pop Warner Little Scholars League for Mecklenburg, Union, and Cabarrus counties. We are members of the Mid-South Region. The league is made up of 14 individual Member Associations. Member Associations include Coul-Oak, Derita, Harrisburg, Lake Norman, Mallard Creek, MARA, Mint Hill, PAL, Odell, Porter Ridge, South Charlotte, Southpark, Steele Creek, and Weddington. You should register with the Association closest to where you live. 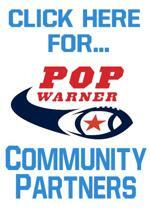 All Pop Warner Associations in the Little Panthers' league are responsible for their own registration process. Registrations usually begin in the Spring. Each Association is allowed to charge a registration fee. This fee varies at each Association. Additionally, each Association schedules its own participant registration dates. For a list of Association Web Sites, please visit the Associations page. No. Dual participation in Pop Warner and school or other football or cheer organizations is prohibited. Games begin the first Saturday after Labor Day and continue through early November. Games are normally played on Saturdays. The local cheer and dance competition is held in October. Bowl games and regional playoffs for teams qualifying for post season games are played in November. The regional cheer and dance competition and regional football championship games are held the Friday and Saturday following Thanksgiving. The national cheer and dance competition and national football championship games are usually held the second week of December at Disney's Wide World of Sports. All head coaches for both football and cheer & dance squads must complete training classes and be certified prior to being allowed to participate as a head coach. How much does it costs to participate? Each Member Association is responsible for setting their registration fees. Fees can range from $35 to $295 depending on the Association and whether you are interested in tackle football, or cheer & dance. The Challenger Division is a flag football and cheer division established to bring the Pop Warner experience to special needs individuals. The Little Panthers’ League began the Challenger Division in the 2007 season. For more information please visit the Challenger Page. No. Section II of the Physical Fitness & Medical History Form must be completed and signed by a licensed state examiner. The form is the official certification that your child has been cleared medically to participate in Pop Warner. The form must be signed in the same year as the season in which you wish to participate.